The purpose of this essay is to shed some light on a certain type of sentence, which I call a borderline contradiction. A borderline contradiction is a sentence of the form Fa ∧¬Fa, for some vague predicate F and some borderline case a of F, or a sentence equivalent to such a sentence. For example, if Jackie is a borderline case of ‘rich’, then ‘Jackie is rich and Jackie isn’t rich’ is a borderline contradiction. 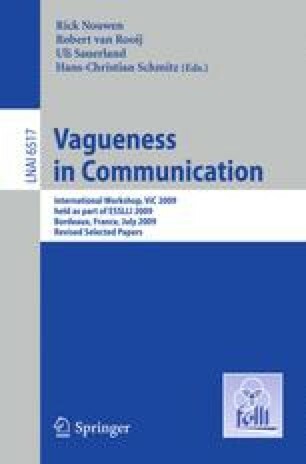 Many theories of vague language have entailments about borderline contradictions; correctly describing the behavior of borderline contradictions is one of the many tasks facing anyone offering a theory of vague language.